Giacomo Meyerbeer (September 5, 1791 — May 2, 1864) was a noted German-born opera composer, and the first great exponent of French Grand Opera. His nineteenth century operas, as well as his oratorios, cantatas, lieder, chansons and romances, focused on the importance of values with a positive effect on interpersonal relationships and self-esteem. Meyerbeer was born to a Jewish family in Tasdorf, near Berlin, Germany with the name Jacob Liebmann Beer. His father was the enormously wealthy financier Jacob Judah Herz Beer (1769 — 1825) and his much-beloved mother, Amalia Liebmann Meyer Wulff (1767 — 1854) also came from the wealthy elite. Their other children included the astronomer Wilhelm Beer and the poet Michael Beer. Meyerbeer made his debut as a nine-year old playing a Mozart concerto in Berlin. Throughout his youth, although he was determined to become a musician, he found it difficult to decide between playing and composition. Certainly other professionals in the decade 1810-1820, including Moscheles, considered him amongst the greatest virtuosi of his period. In his youth Beer studied with Antonio Salieri and the German master and friend of Goethe, Carl Friedrich Zelter. Realizing, however, that a full understanding of Italian opera was essential for his musical development, he went to study in Italy for some years, during which time he adopted the first name Giacomo. The 'Meyer' in his surname was adopted after the death of his great-grandfather. It was during this time that he became acquainted with, and impressed by, the works of his contemporary Gioacchino Rossini. Meyerbeer's name first became known internationally with his opera Il crociato in Egitto (premiered in Venice in 1824, and produced in London and Paris in 1825; incidentally the last opera ever to feature a castrato), but he became virtually a superstar with Robert le Diable (opera)|Robert le Diable (Robert the Devil, with libretto by Eugène Scribe and Casimir Delavigne), produced in Paris in 1831 and regarded by some as the first grand opera. The fusion of dramatic music, melodramatic plot and sumptuous staging proved a sure-fire formula which Meyerbeer repeated in Les Huguenots (1836), Le prophète (1849), and L'Africaine (produced posthumously, 1865). All of these operas held the international stage throughout the nineteenth century, as did the more pastoral Dinorah (1859). However, because they were expensive to stage, requiring large casts of leading singers, and subject to consistent attack from the prevalent Wagnerian schools, they gradually fell into desuetude. Meyerbeer's immense wealth (increased by the success of his operas) and his continuing adherence to his Jewish religion set him apart somewhat from many of his musical contemporaries. They also gave rise to malicious rumours that his success was due to his bribing musical critics. Richard Wagner (see below) accused him of being only interested in money, not music. Meyerbeer was, however, a deeply serious musician and a sensitive personality. He philosophically resigned himself to being a victim of his own success. Meyerbeer's extensive diaries and correspondence miraculously survived the turmoil of twentieth century Europe and are now being published (six volumes so far out of seven—the diaries alone have been published in an English translation in four volumes). They are an invaluable source for the history of music and the theatre in the composer's time. The vitriolic campaign of Richard Wagner against Meyerbeer (initiated by his anti-Semitism or Judaeophobic article Das Judenthum in der Musik ('Jewry in Music') of 1850 was to a great extent responsible for the decline of Meyerbeer's popularity after his death in 1864. This campaign was as much a matter of personal spite as of racism—Wagner had learnt a great deal from Meyerbeer and indeed Wagner's early opera Rienzi (1842) has, facetiously, been called 'Meyerbeer's most successful work' (though it apparently never achieved the same success as did Meyerbeer's most important works). 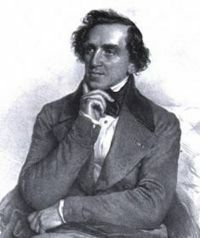 Meyerbeer supported the young Wagner, both financially and in obtaining a production of Rienzi at Dresden. However, Wagner resented Meyerbeer's continuing success at a time when his own vision of German opera had little chance of prospering. After the Dresden revolution of 1848 Wagner was for some years a political refugee facing a prison sentence or worse in Saxony. During this period when he was gestating his Ring cycle he had few sources of income apart from journalism and benefactors, and little opportunity of getting his own works performed. Already deeply envious of Meyerbeer's wealth, Wagner was sent over the edge of common decency toward Meyerbeer in 1849 when he learned of the success of Le Prophète. After Meyerbeer's death Wagner reissued the essay in 1868 in an extended form, with a far more explicit attack on Meyerbeer. This version was under Wagner's own name—for the first version he had sheltered behind a pseudonym—and as Wagner had by now a far greater reputation and influence, his views obtained far wider publicity. These attacks on Meyerbeer (which also included a swipe at Felix Mendelssohn) are regarded by some as significant milestones in the growth of German anti-Semitism. Meyerbeer's music was banned by the Nazi regime because the composer was Jewish. However, the operas are now beginning to be regularly revived and recorded, although, despite the efforts of such recent champions as Dame Joan Sutherland, who took part in performances of, and recorded, Les Huguenots, they have yet to achieve anything like the huge popular following they attracted during their creator's lifetime. Becker, Heinz and Gudrun (1989). Giacomo Meyerbeer, a Life in Letters. Zimmermann, Reiner (1998). Giacomo Meyerbeer, eine Biographie nach Dokumenten. Meyerbeer, Giacomo (1999-2004). The Diaries of Giacomo Meyerbeer. Meyerbeer, Giacomo (1960 -). Briefwechsel und Tagebücher. Kaufman, Tom (Autumn 2003). Wagner vs. Meyerbeer. Opera Quarterly 19. Meyerbeer cylinder recordings From the Cylinder Preservation and Digitization Project at the University of California, Santa Barbara Library.